Across the country, farmers are hauling great bushels of cone-like flowers from rows of hop vines. Yes, before they become those greenish pellets or that distinctive aroma from beer, hops are plucked from a plant. 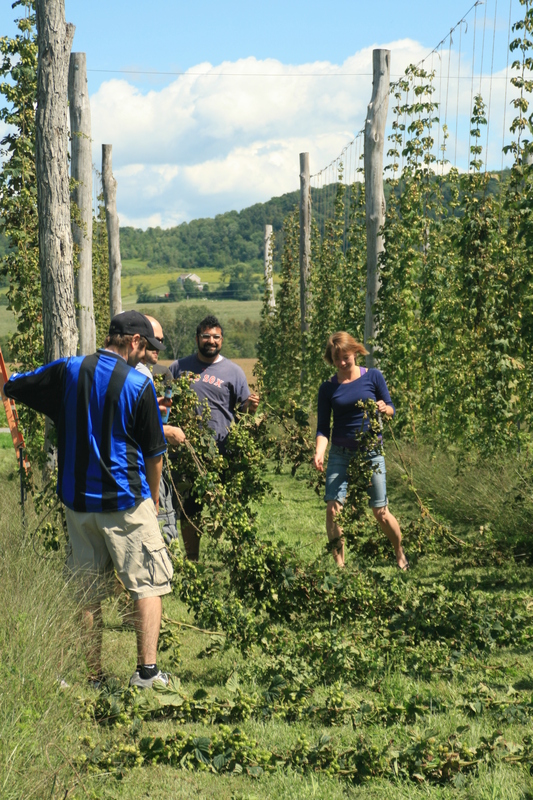 And we’re proud to have participated in one day of hop harvesting, in our own home state. 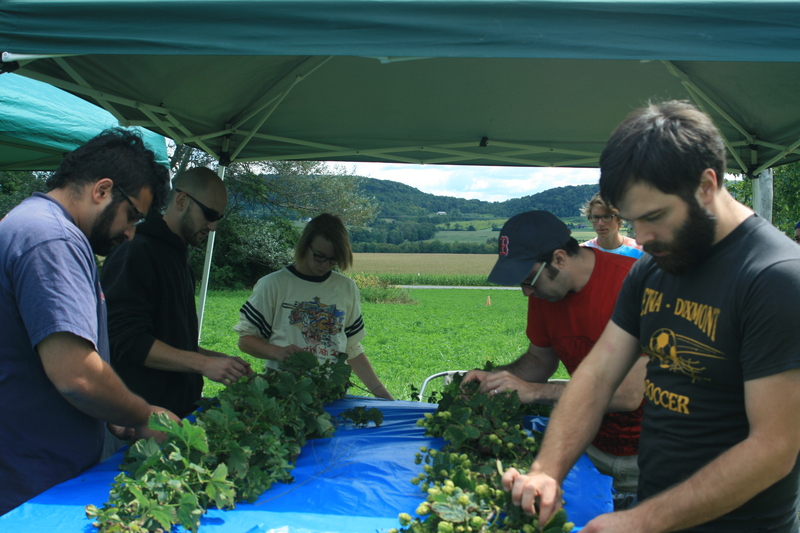 Several Sixpoint team members and friends traveled Upstate to New York Hop Farm, a small family-operated farm that sits, incidentally, on land that was once used to grow most of the Northeast US region’s hops. 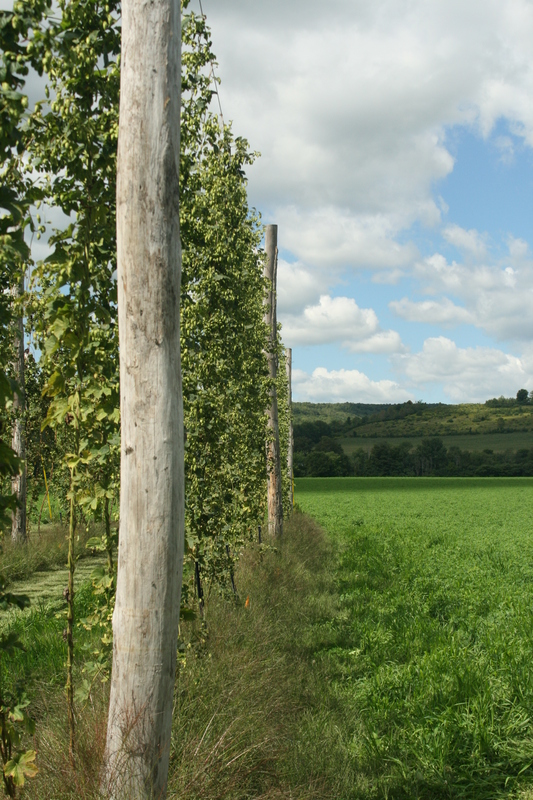 The farm is currently reviving that history in order to provide East Coast brewers with quality, local hops. We picked Willamette and Mount Hood hops, and are using them in a beer to be released soon. So here’s a sneak peek of our next Mad Scientists Series #6, an American strong ale that’s wet and dry-hopped with hand-picked, New York state hops. We’re tentatively naming this one Mad Scientists 5.8, because in the midst of the hop-picking trip, a 5.8 earthquake riveted the Northeast, and the brewers felt it on the farm. Did you feel it on August 23, too?